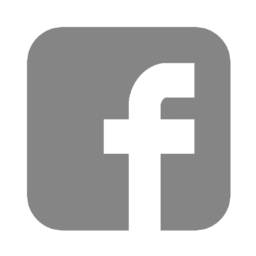 Now if numbers are your thing - and they should be as you are a geocacher - you're wondering when can the update of the last statistics blog be expected. Well here it is! We're already 3 months into the new year and if you haven't logged your finds from last year, your name is either Lex or you just can't be bothered ... which is almost the same. This means the numbers from 2017 are fairly accurate. 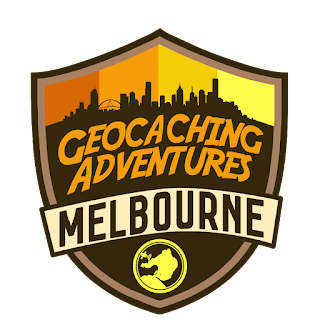 Compared to the previous year about 20% less geocachers played the game globally and 25% less in Australia. 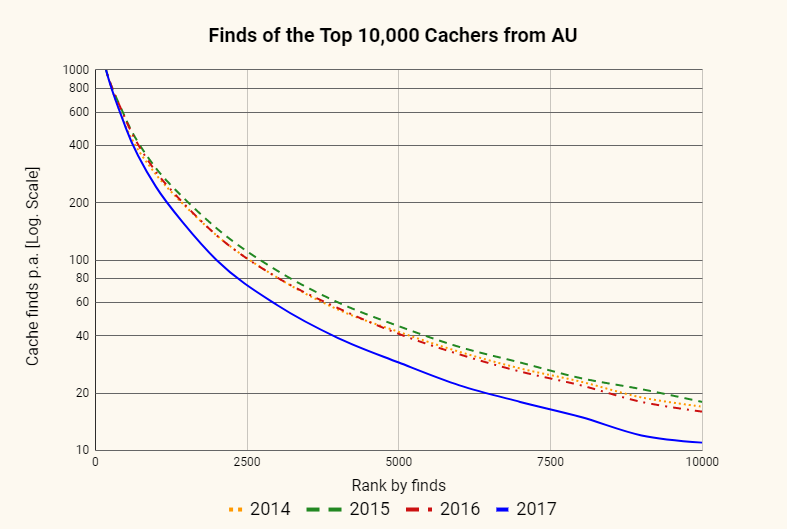 As usual the bar to be an active player is extremely low: Everyone who logs at least one find per year gets counted. You'll find that there are already first consequences. The good old brick and mortar shop Geostuff is moving back to an online-only shop. You can read the whole announcement here. All in all 2017 got pummelled which is also reflected in the loss of very active players. 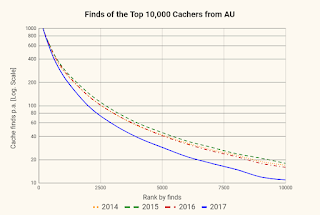 In Australia there are 500 very active players less compared to 2016. Globally their estimated number (5% of active players) is down to 73100. 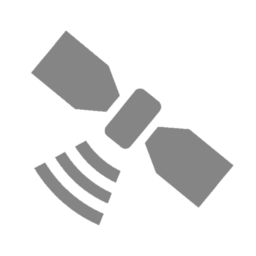 Fun fact: With 64 caches found in the past year I only count as an occasional player. 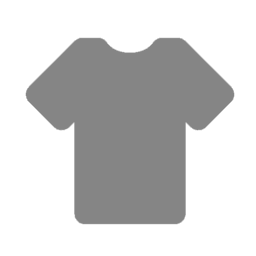 Every year the guys in Seattle cook up some sort of promotion where you can gain virtual souvenirs for your profile page. 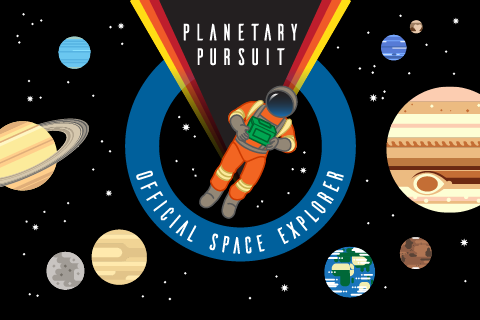 After last year's group mission this year the "Planetary Pursuit" was a solo mission. In the Norther Hemisphere the winter has been a bit harsher compared to last year and now Spring is drawing out a lot of people but that's only part of the story. The promo really worked! 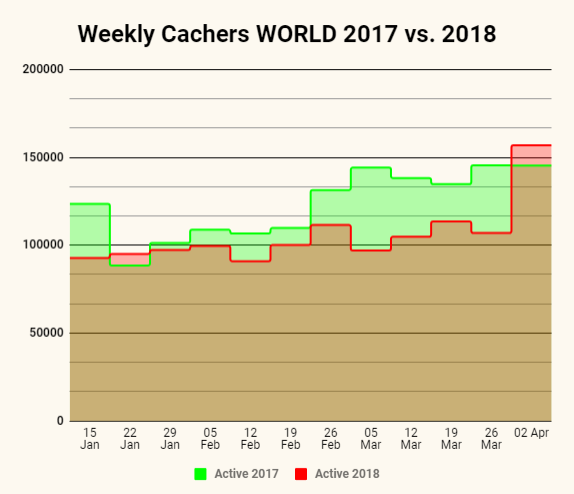 A lot more players got active and you can see the clear jump of weekly cachers - both globally as well as here in Australia. Of course you have to be devil's advocate and see what happens after the end of the promo on 8th April. Will most of us go back to hibernation or did this activate a bunch of cachers for an extended period of time? My guess is that this will only create a spike in the stats. Although this year is starting off a bit weaker compared to last year, I don't think it will be a disaster. The game has now reached a state of saturation where neither big growth or losses can be expected. Overall the number of players is levelling out at the current scale. There are still big seasonal variations on a global level since most players live in areas where it simply snows in winter. Australia only makes up 3% of all global players so this doesn't have a huge impact. 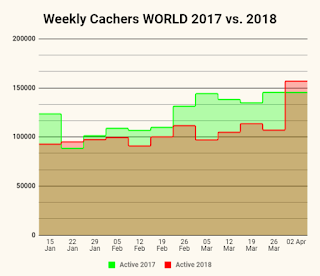 The geocaching peak season goes from June to October. It has always been like this hence why you will see more players over the coming weeks. Globally I estimate the future cruising altitude around 1.5 million active players and 75000 very active players per year. Yep, my thumb is very wet and the crystal ball might be all fogged up. That's not a lot especially if you compare that with other outdoor activities like hiking or climbing. E.g there are more rock climbers and mountaineers in the UK alone than there are geocachers globally. I'm still a bit puzzled about GC HQ's lack of creativity to rope in the climbers, hikers and adventurers in general who aren't geocachers. There's still this huge market potential but maybe the success of the Planetary Pursuit promo their likes of is sufficient enough and we'll see more of that. P.S. 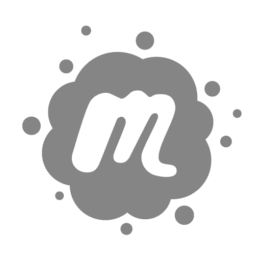 : If you can't wait until the next update, visit the new statistics page once a week.